The average price of student accommodation in the UK has jumped by nearly a third in six years, a survey has suggested. The increase has been driven by the standard of accommodation shifting steadily upmarket, research by student housing charity Unipol and the National Union of Students (NUS) found. But the NUS warned it had created a “real affordability problem”. 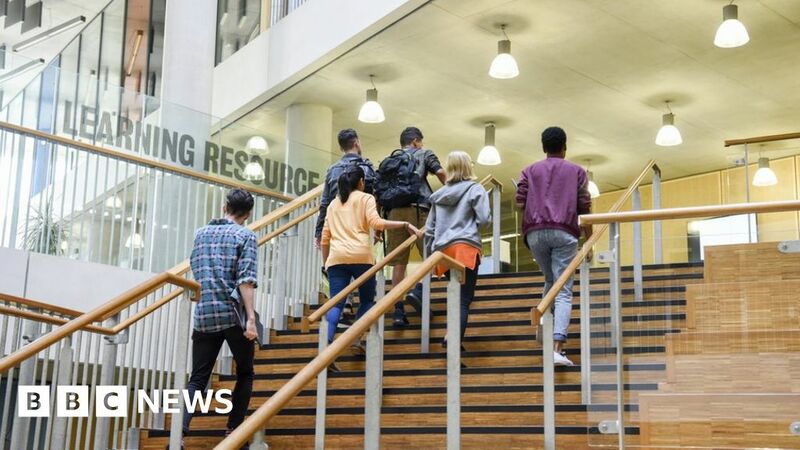 The government said it had increased support for students’ living costs. The Accommodation Costs Survey 2018 found that in 2011 the average rental bill took up 58% of the maximum student loan, now it is 73%. It showed that the top end of the market, studio flats made up 4% of student accommodation in 2012, but now they account for 9%. Fewer people are now living in traditional student digs with shared bathrooms and kitchens. They now account for just 17% of the total, down from 24% six years ago. The report said half of student bed spaces were provided by the private sector, up from 39% in 2012. The other half are owned by educational institutions. Self-catered en-suite accommodation now accounts for the lion’s share of student accommodation in both these sectors, at 58% of total rooms, a rise of 2% since 2012. This had pushed the average price of accommodation up by a third over the six years, according to the survey. The average annual student rental bill is now £6,366. In London the average is £8,875 and for the rest of the UK £5,928. It is not just the private sector which has been increasing prices. In Yorkshire and the Humber the average price for university-owned halls is now more than the private sector equivalent. While the 24-hour concierge and complimentary breakfast give the feel of a dream hotel, the bill each month is certainly real. Studio flats in the private sector-owned IconInc building, where she lives, are rented for up to £450 a week, depending on which apartment the student chooses. For Olivia, her rent takes up about 70% of her full student loan, which she says feels like a is worth it as so much is laid on. These halls, like many high-end purpose-built student blocks, have an on-site gym, a sauna and steam room to de-stress in, breakfast is complimentary and there’s a cinema room. Every bedroom is an en-suite studio flat, and there are big communal sitting rooms and kitchens where your mess is cleaned up by professional staff. A big driving force behind the rise in high-end accommodation has come from international students. Victoria Tolmie-Loverseed, assistant chief executive of Unipol Student Homes, said that while it was positive that student housing standards had improved, it was important that students on middle and lower incomes were not priced out. There was a “responsibility upon the government to consider not just the financial burden of these costs, but how they present a barrier to accessing education for those from disadvantaged backgrounds”, she added. The Department for Education said: “We have increased support for full-time students’ living costs by 3.2% for the current academic year.